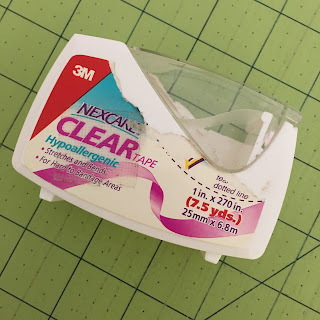 I thought I'd share a quickie tip on Tips, Tricks, and Tuts Tuesday - First Aid for Your Rulers. 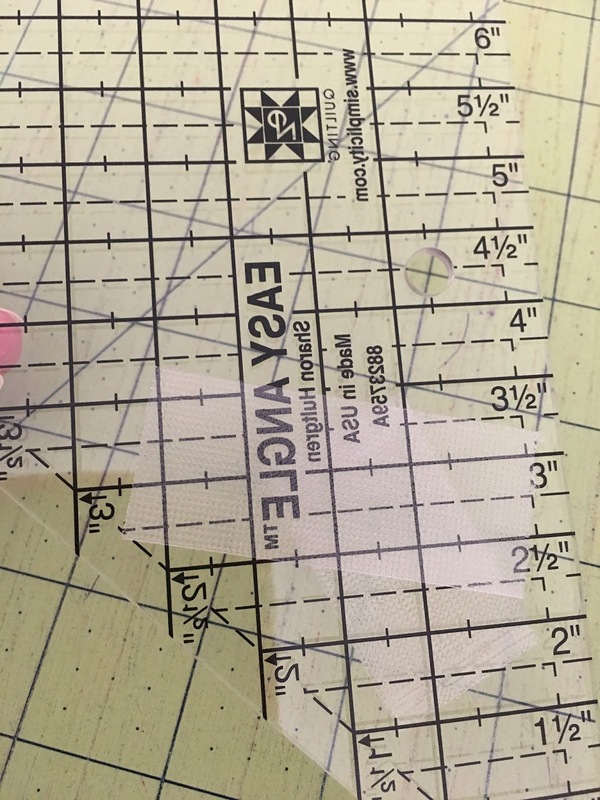 How many times does your ruler slip and you cut incorrectly. Although my tip won't guarantee you'll not slip anymore, I can tell you it certainly does help. All you'll need is a roll of this tape. It's called Nexcare Clear Tape made by 3M. Oh and the King will love you if you buy this tape. Now apply a piece or two or more anywhere you'd like on your ruler. 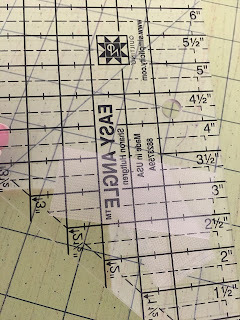 I put a piece about 1 1/2" long on the corner of my Easy Angle Ruler. Then I flipped it over and put another piece on the other side. Normally I don't put it on both sides but this ruler uses both sides. I have it on almost all my rulers. I love it! Get you some first aid tape and give your rulers some TLC first aid care. Thanks for the tip, I will try it.